Perhaps, the 1990’s will be the decade of constitution writing. With many European States gaining their independence or reshaping their contours, new constitutions will be drawn up. Recent advances in the economic analysis of law can help to make this difficult task more feasible. 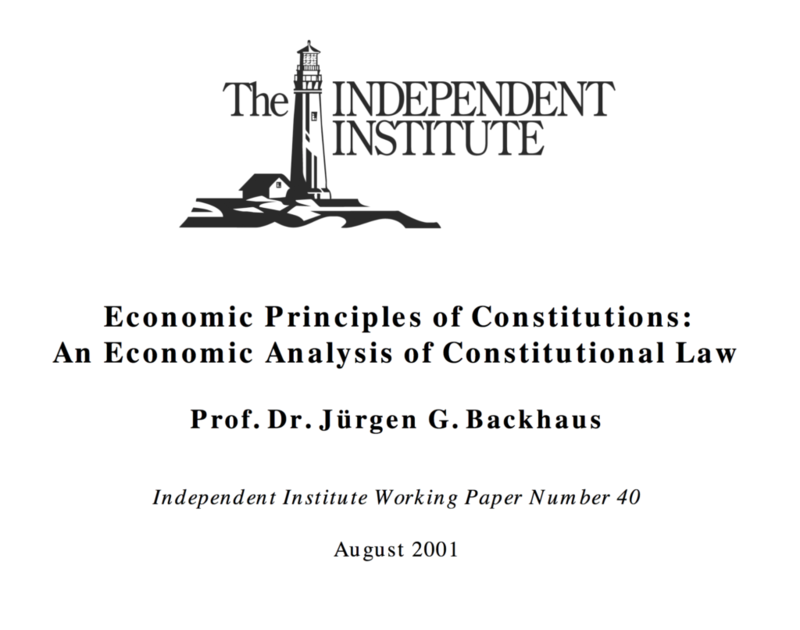 This essay starts by giving an introduction into the economic analysis of constitutional law. Part I contains an analysis of constitutional guarantees of basic (individual) rights and procedures, illustrated with three constitutions, the American constitution of 1789 as amended in 1792, the German Basic Law of 1949 and the Dutch Basic Law of 1983. Although constitutions are meant to be permanent, they continuously change without amendment. Part II offers an analysis of constitutional change without amendment. Whoever wants to draft a constitution needs to know how the basic guarantees work, how procedural rules interconnect basic guarantees and decision takers, and what chances there are that the meaning of a constitutional provision can be turned upside down. Economic analysis of constitutions speaks to these three problems.